"oh you write about food once a week on your newly started blog? Great, you are a food blogger." "oh you post about food on your FB? Great you are a food blogger." "oh you don't have a blog? oh wait, you tweet and you Sina Weibo right? Great, hello food blogger." "oh you write about food cultures? so you don't do restaurant reviews? Nice talking to you." "oh you post food reviews on Openrice? Great can I interview you as a food blogger?" So please explain to me what exactly does it mean by being a food blogger? I am not sure myself. It really matters not what I am being called since I blog because I like to share my experiences via words and images. What happened to the blogging community in Hong Kong you ask? As I mentioned, the blogging industry in Hong Kong is still in its infant stage and the rapid growth in recent years are good for its development. However, depending on the direction of the participants in the community or to put it bluntly, how bloggers discipline themselves, the development can hindered greatly. Recent growth of the blogging community in Hong Kong is a result of technology advancement, particularly the greater uses of smartphone which allow users to "blog" on the go using various social media platforms. Blogging in general is no longer restricted to a website, many different forms are out there such as Tumblr, Twitter and Sina Weibo. Like it or not, they are being accepted as blogs nowadays to a certain degree. 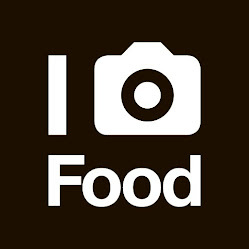 However, when it comes to "food blogging," many neglected a key element which contributed to the current scene. It is the push & pulled factor created by the F&B establishments. The OVERabundance of food tastings specifically for bloggers, events targeting just bloggers and to every so subtle hints of asking to blog about it asap contributed to the rapid growth we are seeing recently. Many F&B establishment rushed to the hype of social media in recent months because it is the "next big trend," and many jumped on the bandwagon without really thinking through the approach or what best their own establishments. The easiest for them is to organize bloggers events or blogger tastings so increase the exposure in a short period of time, hence to sudden surge of bloggers tastings. Don't get me wrong, these events are quite common among the blogging communities around the world and many treat these events like traditional media events, but the issue is what do people look for in return, what sort of roles are the bloggers and what do restaurants want in return? A simple compliment to the chef for the good meal or an immediate spread of information via blogs? what happened to the value of word of mouth? With the increased number of tastings is the increased number of blog posts about them. With the increased number of blog posts there are more readers finding their "new found" interests in sharing their dining experiences online via various social media channels. The cycle continues. In other words, the restaurants created the demand for "food" bloggers and the community supplied them with an overabundance of bloggers to fill that gap and now "concerns" are surfacing for the quality of the supplies they help created? I feel that this vicious cycle is putting a negative image to bloggers in general no matter what you blog about due to the generalization issue mentioned. Once again, I am not distinguishing myself from anyone or saying that I am different because I do attend invitations every now and then. I would write about my experiences stating that the event was an invitation or not. What put me off sometimes with invitations is the bold assumptions many of the restaurants or PR assume. I once rejected an invitation for tastings and the immediate reply I got was, "oh how come? It is a free meal." What is that suppose to me? I am coming because of the free meal? I should come because it is a free meal? Because you are inviting me over for a free meal I have the obligation to write about it? This is a very dangerous assumption and I have no idea how this comes about. Perhaps I am the very few that would actually turn down invitations!?! When did blogging become my job and I must attend to every single event, because the last time I checked, my bills are not being paid from blogging. I do not represent all food lovers who blog but I for one is not a professional food critic (perhaps a food writer at times); I simply enjoy sharing my gastronomic adventures with my words and images and try to learn more about the food that I am eating. What does that make me? a food blogger or a blogger who enjoys blogging about food? I honestly think people in HK in general are self-centred in their own endeavours, but then again, we are all evolving and hopefully everyone becomes more polished over the long run. Who's ready to sponsor my next Euro and S.America adventures? I swear I will only spend $50000, down from my last visit of $70000. I dislike the whole blogwhore phenomenon as well (not just in food, but in fashion and lifestyle too) -- basically people who start a blog purely to get attention and/or freebies and will "write" about anything to do so! Happy Birthday!! I am 3 already? !